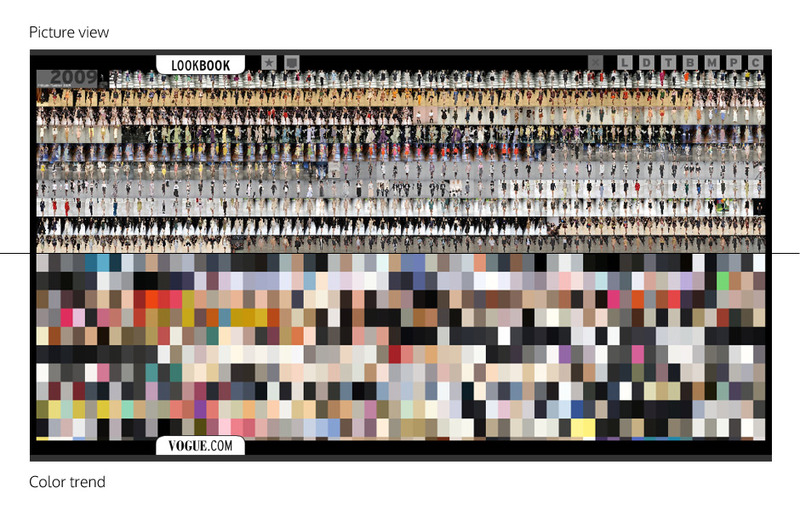 Idea and concept of the Vogue online Lookbook (offering access to a picture database with over 120.000 fashionshow pictures)The design is founded on a huge picture-plane showing all fashionshow pictures in an ordered way. 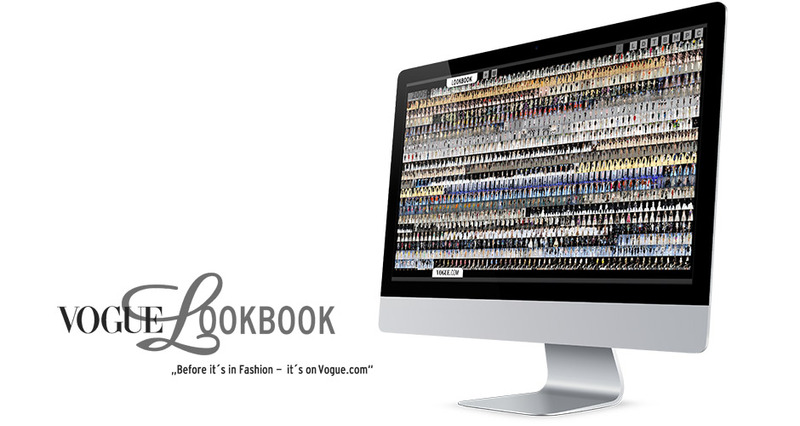 The user is able to zoom in, to filter and to access more information about every picuture and the displayed model. 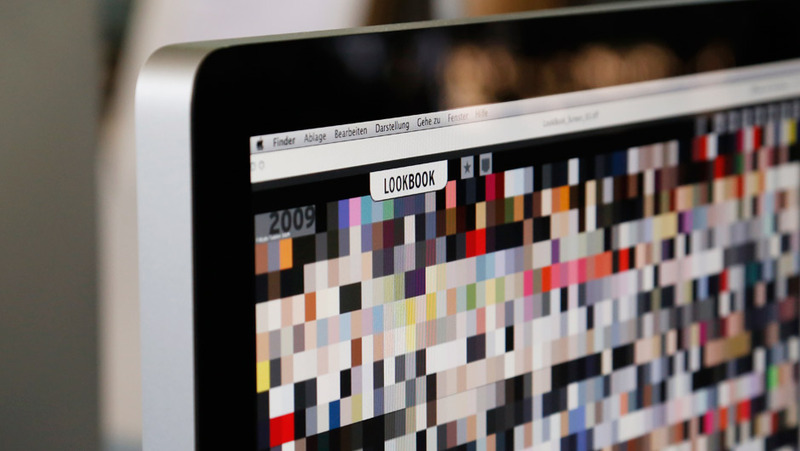 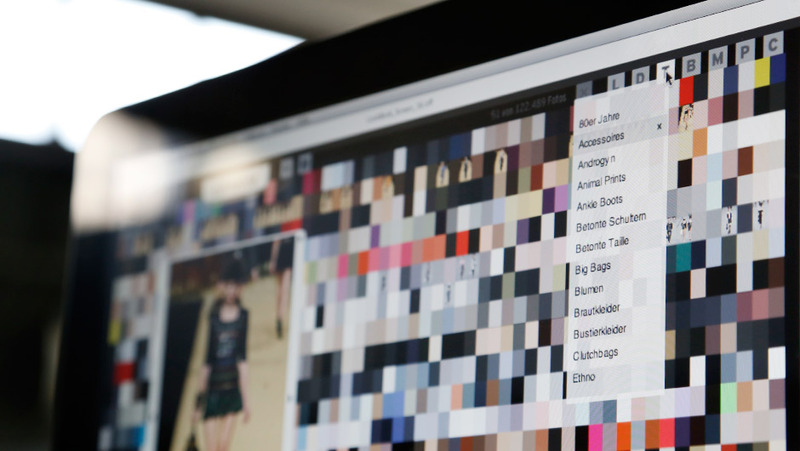 Beside the pictures itself the application indicates hidden information (data visualization features) like seasonal color trends.